Transsion Holdings has filed for an initial public offering on a new listing—Shanghai’s tech board—put in place by their country's President, Xi Jinping. Lagos, Nigeria—In this article, we take you through an abridged version of the Transsion journey to market dominance in Africa and then conclude with what their potential listing entails. 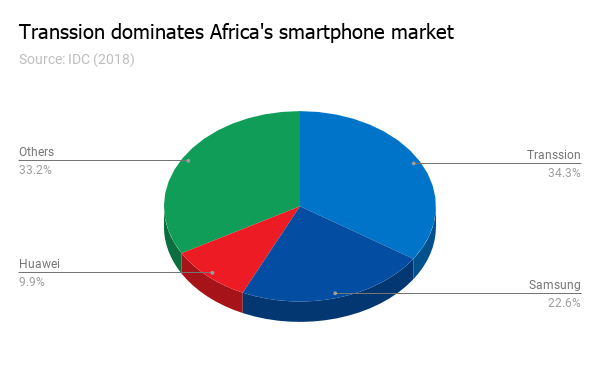 The Chinese manufacturer formerly known as Tecno Telecom dominates both the feature phone and smartphone market in Africa with their three phone brands Tecno, Infinix and Itel. Founded in 2006, the Shenzhen-based company’s focus on emerging markets allowed it to maintain a low-profile in its home country, China—a developed market—where competition is fierce. In China alone, there are over 30 mobile phone manufacturers including big-label brands like Huawei, Gionee and Lenovo. In 2014, Transsion produced their first smartphone, and in three years (2017) they became the largest manufacturer of smartphones for the African market, surpassing Samsung who had long held the position. In 2018, they shipped over 130 million mobile phones globally, thereby making them the largest exporter of mobile phones in China, and fourth in the world trailing behind Samsung, Apple and Huawei. Expectedly, they entered the list of top ten smartphone manufacturers in the world. However, when you look at revenue from sales they were still at number thirteen. According to the latest Quarterly Mobile Phone Tracker by IDC, Transsion brands owned the feature phone space with a combined market share of 58.7% and dominated the smartphone space with a market share of about 34.3%, compared to Samsung’s 22.6% and Huawei’s 9.9%. Growing in Africa did not come cheap for Transsion. Their entrance shows a deliberate effort to build something for the African market. Speaking on their rise to the top, a senior research manager at IDC, Nabila Popal says "the Transsion Group maintains its top position by designing attractively priced devices that address the specific needs of each local market – a strategy the group proudly refers to as its ‘glocal’ approach". This glocal approach has seen them work with research centres in their destination countries to create favourably-priced region-specific phones with features like multi-SIM, longer battery life, enhanced cameras suitable for a dark skin tone. They were the first non-African mobile phone company to set up an after-sales support network, Carlcare across the continent. 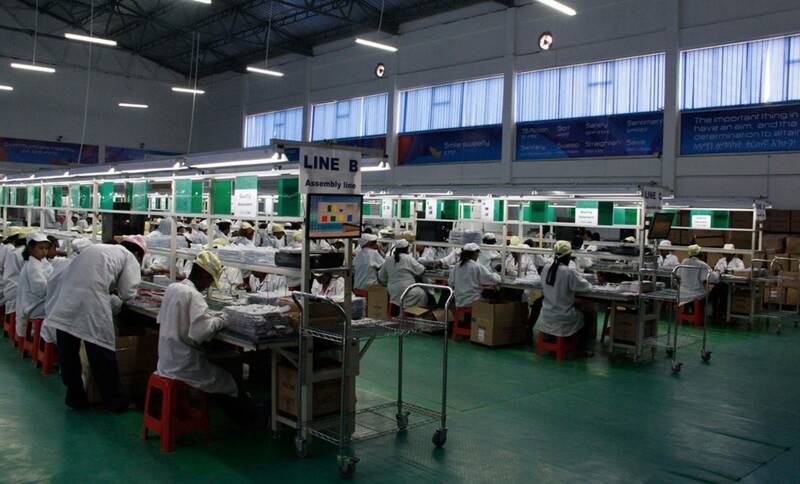 The company even set up a production factory in Africa's Ethiopia. However, one thing that is less talked about is the marketing done Transsion. Over the years and at different points they have employed both above-the-line (ATL) and below-the-line (BTL) advertising techniques. For them ATL, was done largely to put their name out there as a credible technology provider. 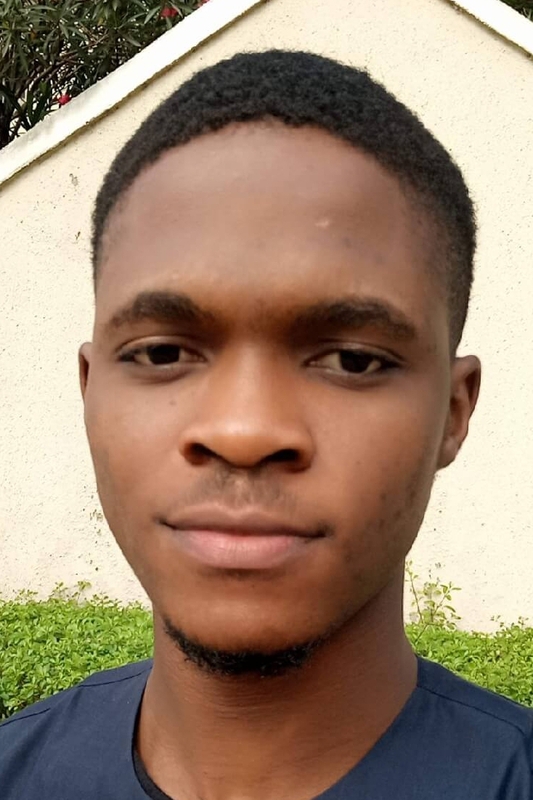 Perhaps, they had learned from their research that many Nigerians relate Chinese products with sub-standard products which they call "chinko". So, it was necessary to build the trust in Nigeria. They started this by setting up fully-branded shops in places where technology shoppers in the country and on the continent go. 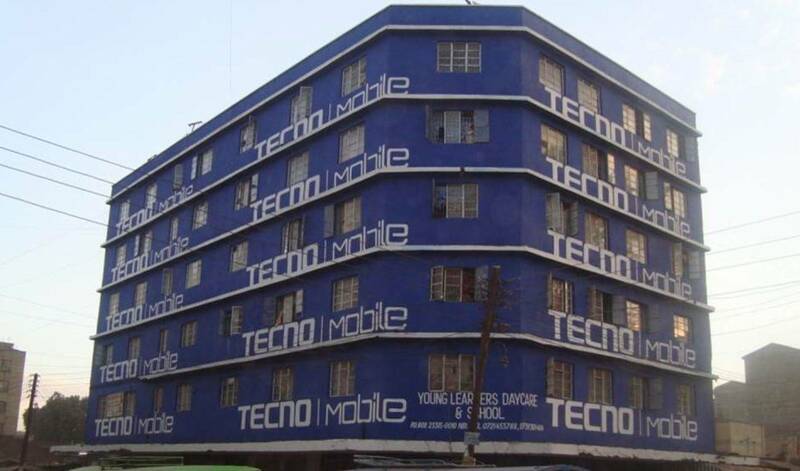 For instance, if you walk through the largest ICT accessory market in Africa—Computer Village—you can easily guess that a blue building would belong to Tecno, a Transsion brand. Interestingly, "because of the wall-coating movement of TECNO, paint production has become a hot industry in Africa," PE daily reports. After doing that, they began to invest in niche marketing via BTL techniques. They began targeting online shoppers, with ads on Twitter, tech blogs and influencer marketing. In February 2018, they organised an all-expense paid trip to show-off Transsion's new office in Shanghai, China. They invited five Africans comprising Nigerian online content creators and tech journalists. Between 2017 and 2018, all three of Transsion brands were featured in the Top 100 most admired brands in Africa. In summary, one can say Transsion decided to play the low-margin, high-volumes game, like a business in the FMCG sector. Going by the statistics above, they have won the volumes game as they now ship 74.5 million feature phones to the continent, which is 6x what Nokia, the closest contender. Although they still have a long way to go in terms of revenue, they have already surpassed competitor Huawei by 7.8% in revenue terms. "Transsion is in urgent need of money"
Transsion's IPO filing comes at a time when the Chinese government is making a second attempt at creating a technology board for home-grown tech companies and unicorns to raise capital. This move to create a thriving technology board has been on the mind of the Chinese Government since 2009. In 2009, they established ChiNext on the Shenzhen Stock Exchange which has performed below expectations. Especially as transactions were less than 7% of the value of shares that changed hands on the Shenzhen bourse. A reason for this could be China’s speculative trading culture which has led to price bubbles, as seen on ChiNext. It is easy to see why China would want to have a thriving NASDAQ-style tech board in their country. As at 2018, six of the world's top ten unicorns; Ant Financial, Xiaomi, Uber, Lu.com, Didi Chuxing, Airbnb, Meituan-Dianping, JD Finance, SpaceX, WeWork, were from China. But many are traded on foreign exchanges. For instance, China's Alibaba Group Holdings is listed on NASDAQ, an American stock exchange. 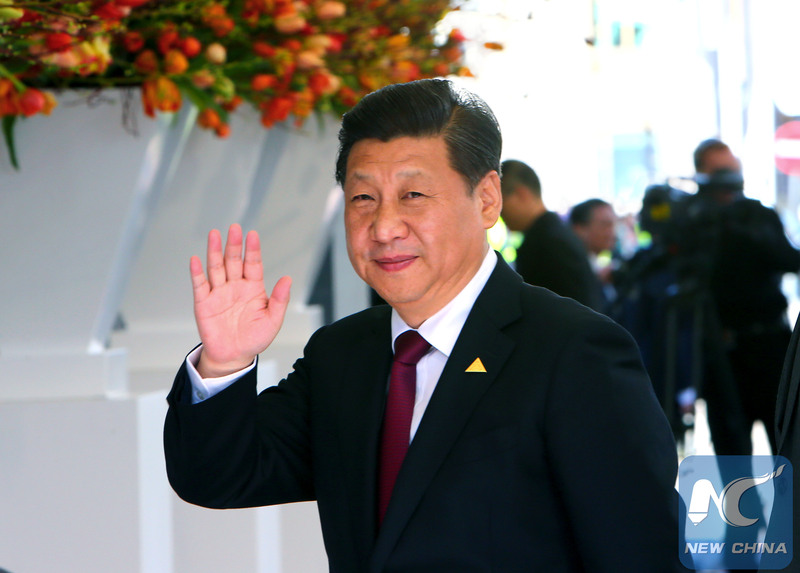 South China Morning Post (SCMP) reporter, Zhang Shidong calls it a surprise move by President Xi Jinping. "The unexpected announcement was made by Chinese President Xi Jinping during his opening speech at the China International Import Expo" in November 2018. According to Zhang, the Shanghai Composite Index fell 1.4% after Xi concluded his speech. China wants to build a global financing and investment platform and may distinguish Shanghai's tech board by accepting listings from companies outside of China, as Wang Chen, a Shanghai-based partner at Xufunds Investment Management Co. advised. However, Shangai Stock Exchange has promised to imbibe learnings from ChiNext into its administration of this new board. "The Shanghai Stock Exchange will study and work on the trial plans for the tech board, and the IPO registration system, under the guidance of the CSRC, and will implement the plans after a public consultation", the bourse said in a statement cited by SCMP. "The tech board will be independent from the existing Main Board". One of such improvements to this new tech board it the absence of a valuation limit which had previously deterred Chinese tech companies from raising money locally. In preparation for their listing, Transsion has observing a three-month counselling since December and are being advised by Citic Securities, China's largest full-service investment bank. Before December, Transsion had considered a plan to go public through a reverse takeover of a company on the Shenzhen Exchange. The details about their IPO, like how much they want to raise and at what price is yet to be publicly known. But if everything goes well, Transsion might just get the boost it needs to further drive-up revenues as it competes with Samsung and Huawei in the higher-end smartphone market. Cover photo from China Daily showing two African women taking selfies on a Tecno phone. The Jack Ma Foundation’s Africa Netpreneur Prize Initiative (ANPI) has been officially launched and entries can be submitted from now till June 30, 2019.